Industry heavyweights. Sustainable solutions. Innovation. All in one place. From the latest tech, the most innovative materials, curated exhibitors, to the freshest thinking, Ecobuild 2018 will be packed with excitement. Even among 450 ground-breaking exhibitors the reasons to visit Wavin are plentiful, so here are our top 5! Our Wavin experts are on hand to answer any of your questions. Come along and meet the team – we don’t bite! Our ‘go-to’ guy for all things drainage, Martin Lambley, will be in attendance so stop by our stand and ask all the hard questions! Whether you just want to have a go at testing some of our products, find out some useful hints and tips, or just fancy a chat. There’s something for everyone! The Future of Drainage debate focusses on the negative affect of water, but we can’t ignore the positive. Help us raise money in support of WaterAid, a charity that transforms millions of lives every year by improving access to clean water, toilets and hygiene. We have plenty of giveaways – waterproof pouches for your phone, pear drops, notepads, pens and water. You could also be in with a chance to win one of our great prizes, like iPad Pros, Amazon Echos and Echo Dots. So, make sure to stop by our stand to enter and you could be walking away with more than just a bag full of branded merchandise. Want to get involved in the Future of Drainage discussion? Dive right in and join our panel debate and reception. Places are limited but the conversation won’t be. What is the Future of Drainage? How are we tackling issues such as climate change and overpopulation? Stop by our impressive new stand with your thoughts, suggestions and solutions. You’ll feel in the thick of it all amongst our impressive wave wall and new flooding graphics. Interactive, educational and entertaining, water you waiting for? 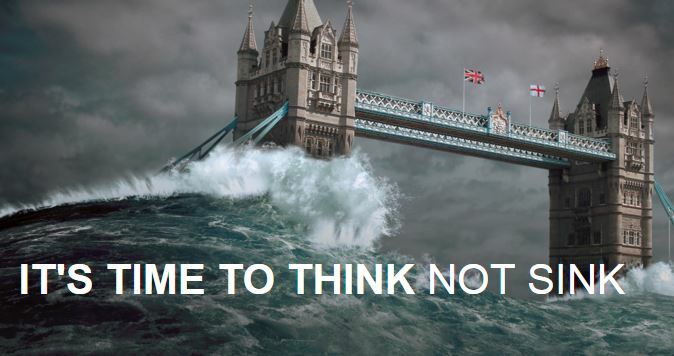 It’s time to think not sink. Visit our Future of Drainage site to find out more. Register for Ecobuild now to join Wavin and other industry experts as we consider the Future for Drainage. Get informed. Get inspired. Get to Ecobuild 2018.